This month we are talking to Milena Duran, DVM, Product Category Manager, in the USA. Hi Milena, what do you do in your job? Essentially, I work for the benefit of animals, but I work mostly with people. I help people know how to treat a disease and keep an animal healthy. As a veterinarian working in marketing, I’m responsible for some products for farm animals. For these products, I develop the strategy and create activities to engage with veterinarian and producers. We do technical events, give lectures, work with farmers, educate producers about proper disease prevention and treatments, and also ensure products are easy to access and use. 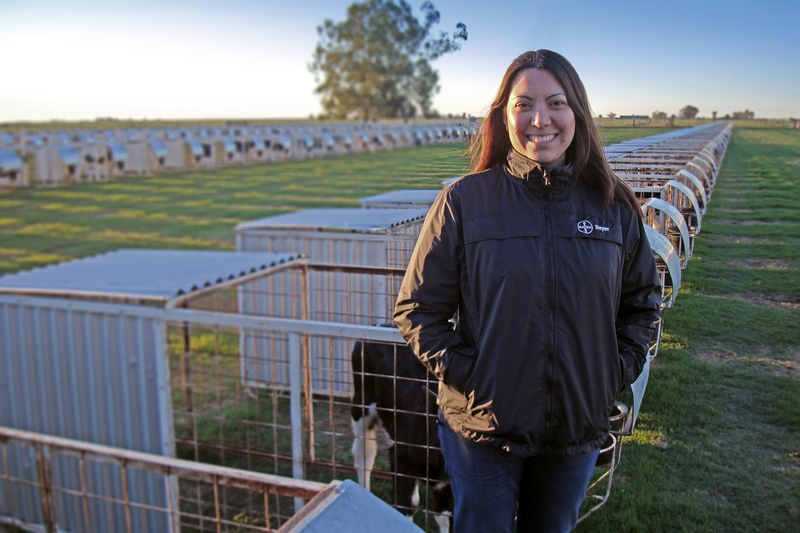 How did you get to Animal Health? I wanted to be a veterinarian since I was a kid. I have always wanted to care for animals. Actually, I think lots of vets are like that. They decided early on in their childhood that they wanted to be a veterinarian, and then they grew up and did it. In my case, I grew up with two engineer parents in multinational companies. And that influenced my approach to my own career. So in some ways, the position I have now working with animals for a global business is a good blend of my own passions and the influence of my parents. What do you like about working in Animal Health? Being a vet, I feel happy to work in an area that is focused on improving the health of animals. And since I work specifically with farm animals, I am part of the process that helps make sure people have healthy food. This is an important and meaningful job. And here at Animal Health in Bayer, we have a nice family culture. I like that regardless of people’s position or titles, I can talk to everyone. It’s a fun company. Bayer’s motto is Science for a Better Life – how do you contribute to this? We provide products that prevent, control, and treat diseases of animals. By doing that, we are providing animals a better life. And that also helps the people that care for them. If you think about both farm animals and pets, by keeping the animals healthy we can prevent diseases from being transmitted to humans. So we get to work towards the Bayer motto. I have an example from Brazil. We reorganized our business there to focus on the farmers and producers. 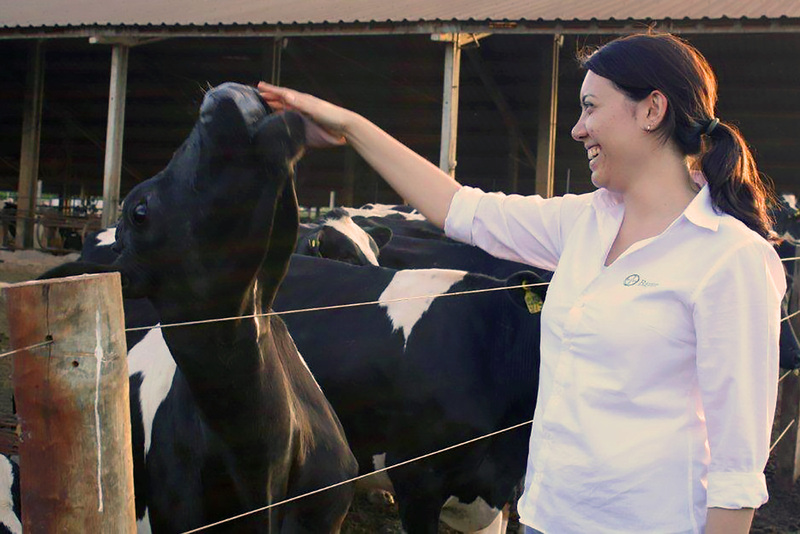 To do this, we hired veterinarians to meet with the farmers and producers and educate them about the health topics and issues they face on a daily basis to help them better care for animals. So in addition to helping keep the animals healthy with products, we also contribute to their well-being through the education of the farmers and producers. Do you have a pet? Yes. I have a cat and a dog. How my cat found me is actually a good story. About ten years ago, while I was working at Bayer, the building security found an abandoned box of kittens in front of our building. They knew I was a vet so they called me and asked for help. So I went to help. They were so small. I brought them home and tried to find families for all three of them. But I only found families for two. So the third one stayed with me and I named her Malaga. She’s been with me ever since. When I moved from Brazil to the USA, Malaga came with me. My dog was a gift from my husband. She also came with us from Brazil. 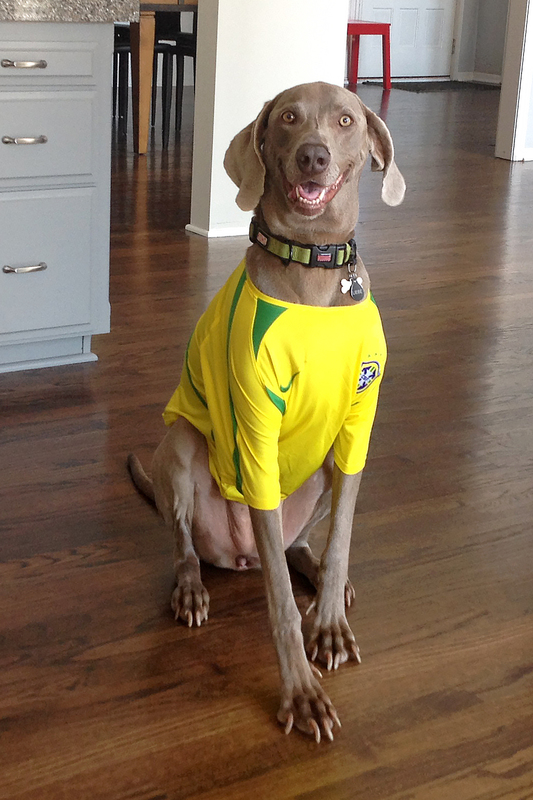 She is a German Weimaraner named Liebe, which is German for love. Thank you, Milena, for doing this interview with us and sharing the story of your work at Bayer HealthCare Animal Health.